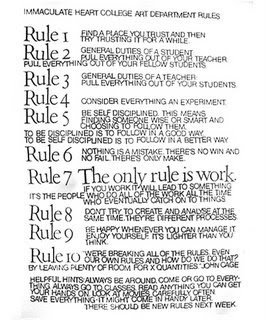 Rule #1 from Sister Corita's Immaculate Heart College (Art Department Rules). I put in the brackets because I like the sound of a college where people go to build immaculate hearts. Thank you for posting this - it's something I should look at every day. It's a lovely mantra, isn't it?